Meriem Sakrouhi is a Junior Architect at IBI Group. She recently led a team in the MobilizeNY Challenge, organized by Ford Motors and 100% Open. Competing against 99 other teams, her team’s proposal, MAPALL, won 2nd prize overall and 1st prize as the Community People’s Choice Award. In this article, she describes her team’s entry. Congrats Meriem! Architecture goes beyond designing buildings and spaces, it is about all kinds of problem-solving. For ALL New Yorkers, public transportation is a major concern. Getting around quickly and safely to work, social activities, sports events, airports and more is the desired outcome of a mass transit system. However, the reality is that many barriers can disrupt this goal. MAPALL handily meets all the criteria of local and long distance users as well as mobility challenged city residents. Between wheelchair users, parents pushing strollers, travelers with huge suitcases or seniors who need an elevator or escalator, and more, 2 million New Yorkers experience reduced mobility issues, because their transit system fails them. Currently, there is no option to find out effectively which train or bus stations have accessible entrances. 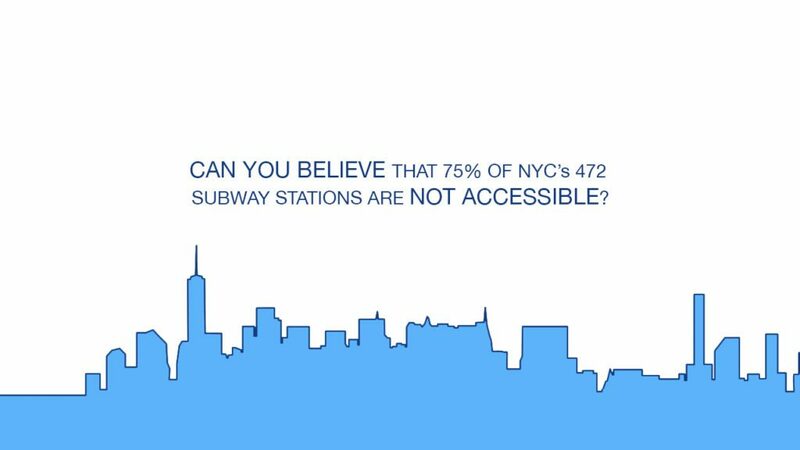 75% of NYC stations do NOT have elevators. Those that do often have elevators that are not functional. Most importantly, there is not yet a smartphone app that is offering these critical (user-friendly) services. To carry out their daily lives, around 25% of NYC residents (more than 2 million people) need accessible transportation. Although many Metropolitan Transportation Authority (MTA) stations are accessible, a significant number of them are not. Imagine if you’re a wheelchair user. Wouldn’t you want an easy way to find out which stations have elevators before you leave home? Wouldn’t having up-to-date information about each station’s access save you a lot of time each day that you had previously spent looking for a practical way to use MTA? There are countless other examples that come to mind where one would need the use of an accessible station. It’s you in a wheelchair, a father with a baby, an elderly couple unable to navigate the stairs, and the traveler with a large suitcase heading to the airport. At its core, architecture is about problem-solving, creating solutions that address the needs of all people. To address this major accessibility challenge, we conceptualized MAPALL. MAPALL is a navigation tool that provides users with the fastest accessible route. It serves as an overlay to existing transit apps, combining both existing technology and existing infrastructure. It is also designed as a community hub, where users can report if an elevator or escalator is out of service, updating the system for all the other users and sending a notification to New York’s MTA to fix it. In developing this tool, the goal is to enhance existing navigation apps, such as Google Maps and Waze, which allows easy implementation while also targeting a wider audience, including people with accessibility needs. In doing so, MAPALL will make existing infrastructure barriers identifiable to everyone. It will also provide accurate and reliable accessible routes, allowing New Yorkers to travel smarter and more efficiently. In the future, as a predictive app, MAPALL will reduce out-of-pocket expenses for taxi rides, required when elevators are unexpectedly out of service. The benefits go beyond the users themselves; businesses adjacent to these accessible stops will prosper from increased pedestrian traffic as more people have access to these stations. MAPALL will also protect the MTA from significant potential liability costs due to the lack of access. MAPALL is designed to provide accurate and reliable accessible routes, allowing New Yorkers to travel smarter and more efficiently. This is a first step towards enabling all people to enjoy the cities they live in or visit. 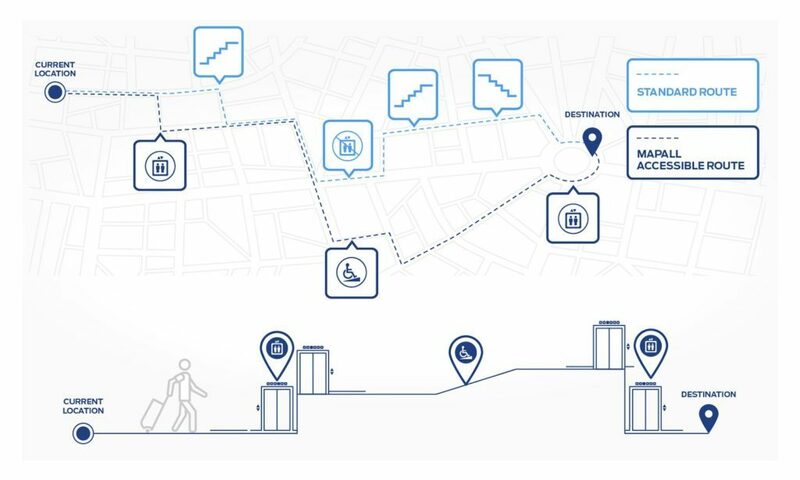 Beyond simply being able to move, MAPALL aims to ensure that everyone has access to the city without limitation, not just in New York, but in cities around the world. 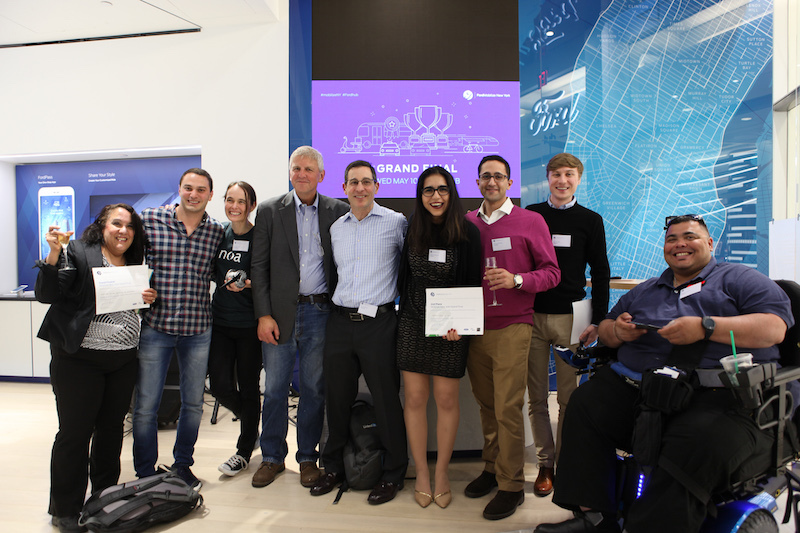 Congratulations to all of the winners of the MobilizeNY Challenge!